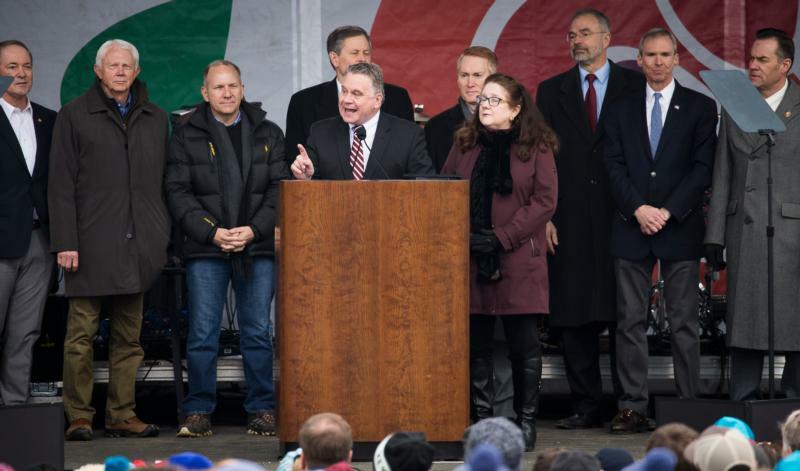 WASHINGTON (CNS) — U.S. Rep. Chris Smith, R-New Jersey, was joined by more than 100 other members of the House Jan. 24 in introducing the Pain-Capable Unborn Child Protection Act of 2019, a measure that would ban abortions after 20 weeks of gestation. Smith, a Catholic, who is co-chairman of the House Pro-Life Caucus, is the lead sponsor of the bill, which cites research showing that unborn babies “can feel agonizing pain” at 20 weeks of development. “The majority of Americans — some 59 percent according to a recent poll — support legal protection for pain-capable unborn children,” Smith said in introducing the bill. He was referring to results of an annual poll of Americans’ views on abortion conducted by the Marist Poll at Marist College and sponsored by the Knights of Columbus. The poll also showed that 75 percent of respondents want “substantial” restrictions on abortion access even as more than half of respondents describe themselves as “pro-choice.” The poll was conducted Jan. 8-10 and the results were released ahead of the Jan. 18 March for Life. “These are very developed babies — these babies are capable of feeling pain and are considered by the medical profession to be a second patient,” said Jennifer Popik, legislative director for National Right to Life. “The Senate’s rejection of this common-sense legislation is radically out of step with most Americans,” Cardinal Timothy M. Dolan of New York said in a statement as then-chairman of the U.S. bishops’ Committee on Pro-Life Activities.